I got off to a late start today but at 10:45 AM I was riding. 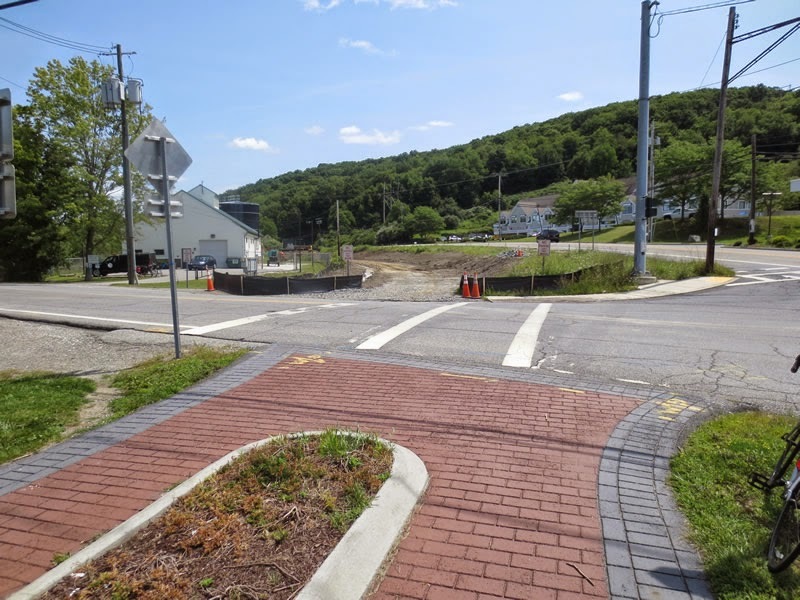 I started from the parking lot just north of the Croton Reservoir. 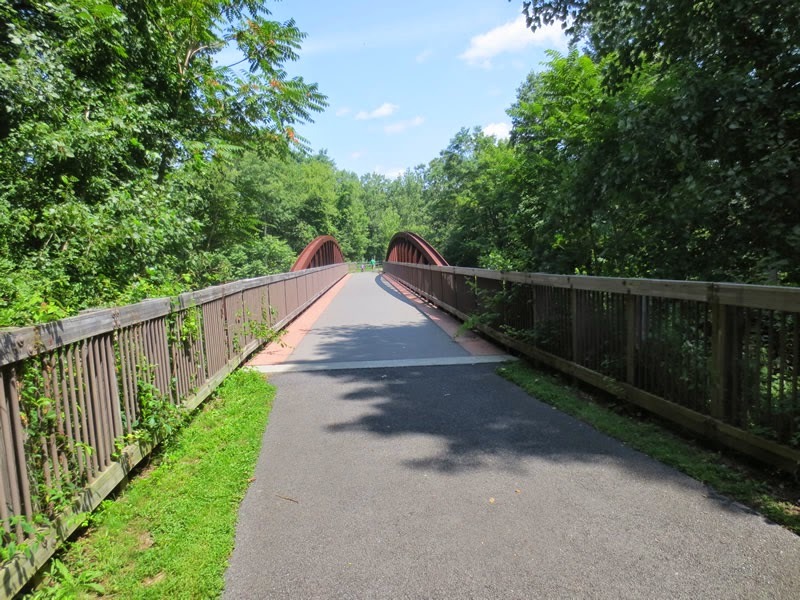 It was beautiful day - not too hot and the Rail Trail had a lot of activity: bikers, hikers, skateboarders, etc. This trail was nice because it not only went thru some nice woodsy spots, but it also cut through a few towns so one could stop and buy a snack or whatever if you cared to. 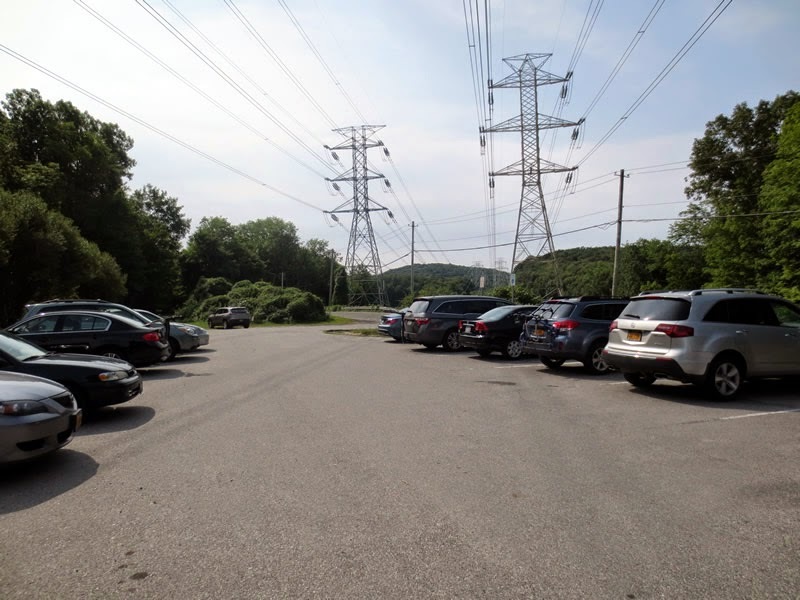 At Yorktown Heights, I bought a Powerade at the gas station and filmed traveling by the old train station Photo of the station in earlier days here >. 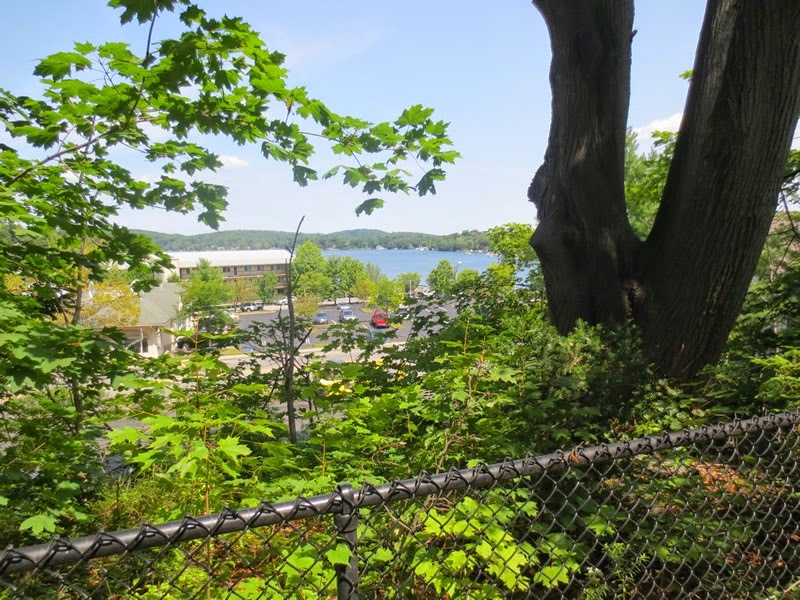 I took a Pic of the old Mahopac station and stopped to snap a shot looking over the lake. 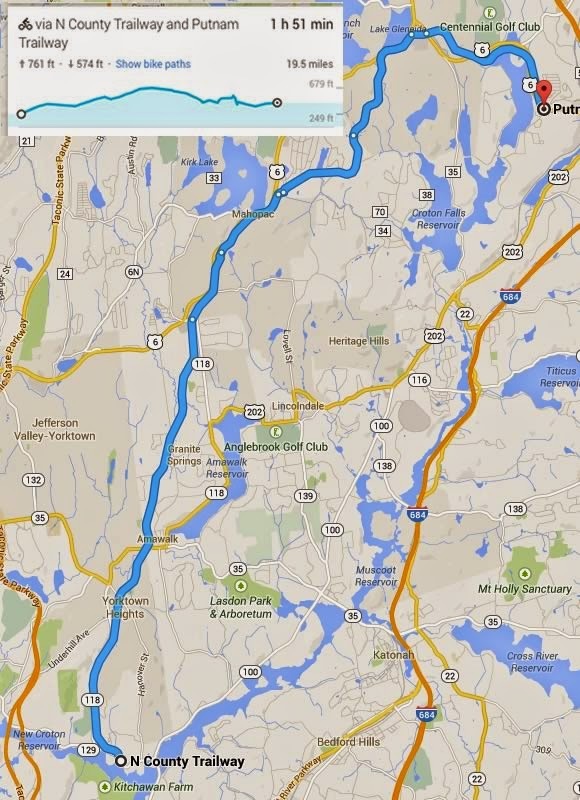 The trail itself went thru a variety of scenery, marshland, deep woods, farmland and of course small towns. Along the way there were a few bridges over roads or streams. 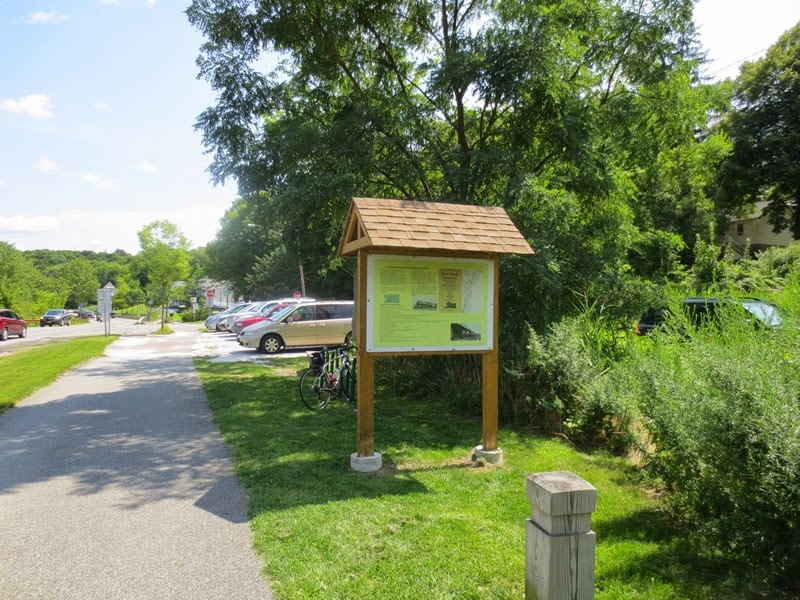 At Lake Gleneida there was a kiosk with a good amount of info on the Rail Trail efforts on one side and on the other side: the history of the old Putnam line. My favorite item on the history timeline was "in 1972, A teenager steals a Diesel Switcher in Brewster and takes it on a joyride - and finally ends up crashing it"- Yikes!! 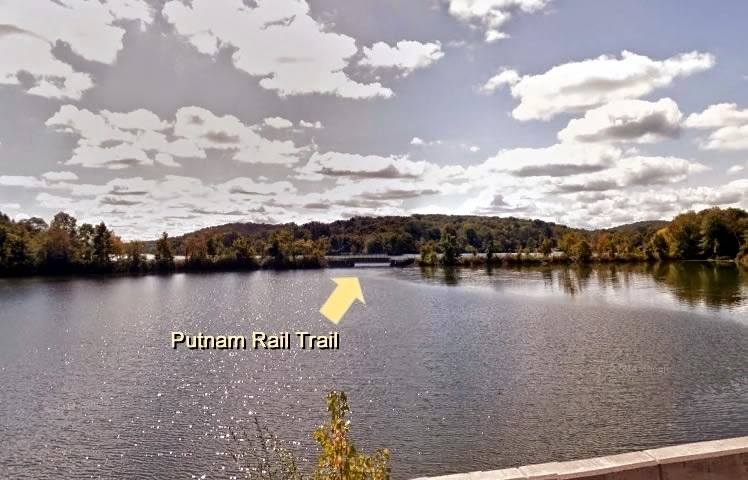 Before reaching the end of the line, the Rail Trail cuts right across Middle Branch Reservoir - I have super short segment in the video. The photo is a street view from the highway to the North. 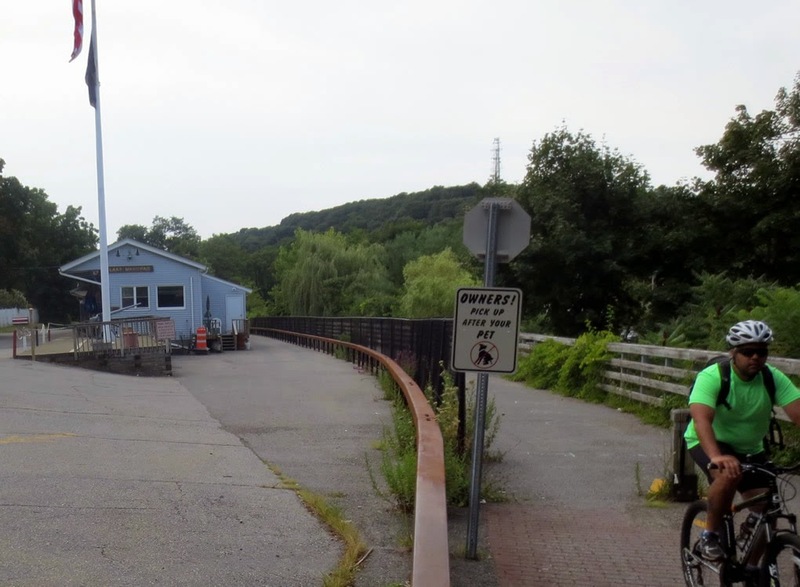 As mentioned, my tires were soft so I stopped in at the Bikeway store in Mahopac where they pumped them back up to 100 psi. Man what a difference! 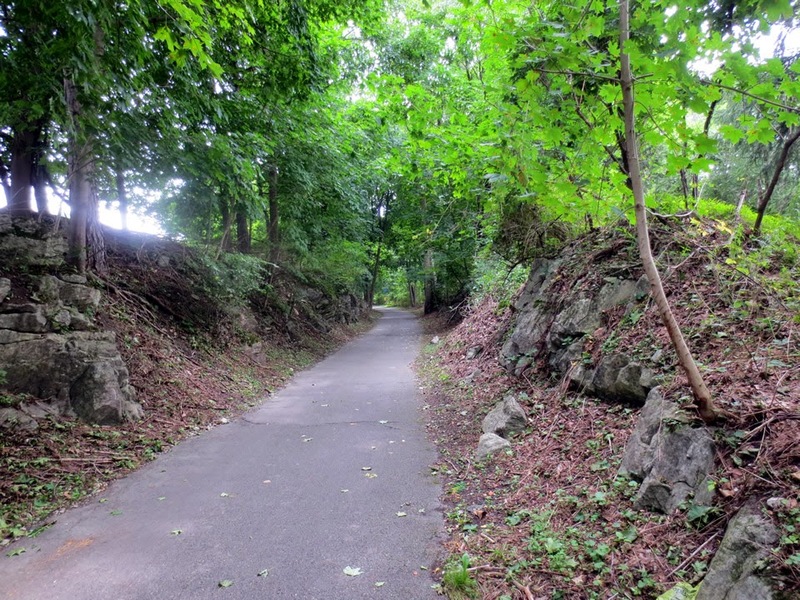 The best part of the trip was—once I reached the high point south of Mahopac—the gradual hill I mentioned on the way up was a sweet coast back down on my return. I hardly had to pedal for about 10 minutes or so… I was flying and peaked at 29.7 mph without even trying! (I shot a one-handed video of course :-) ) Most of the rest of the trip back was almost as easy as well. 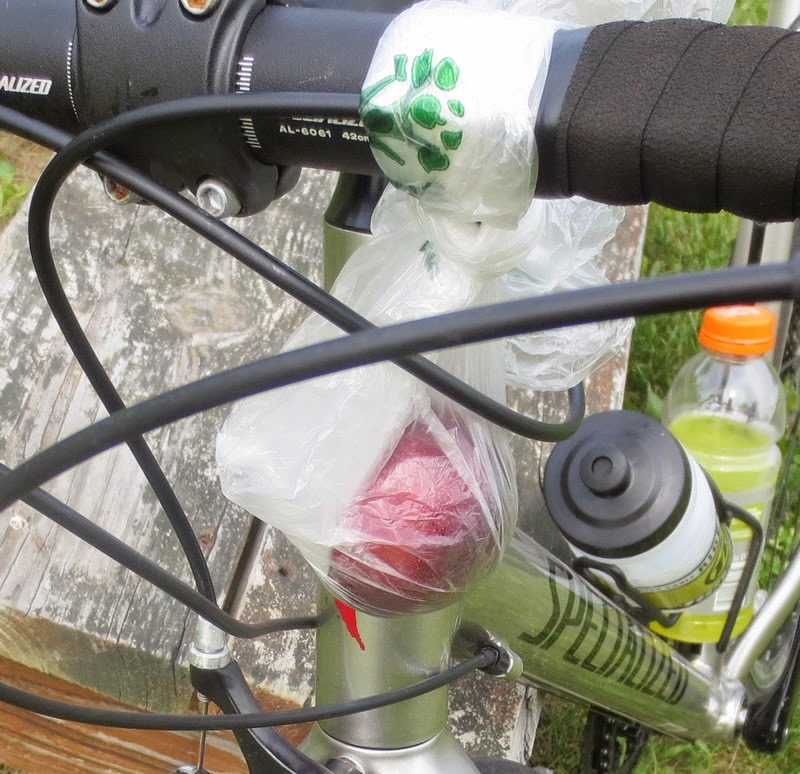 I stopped for a quick break to eat my plum which I had hung from my handlebars: it was super ripe, juicy and delicious! right click and choose "open image in a new window"
John D. Rockefeller was annoyed by the railroad that ran through his family’s estate in Pocantico Hills. 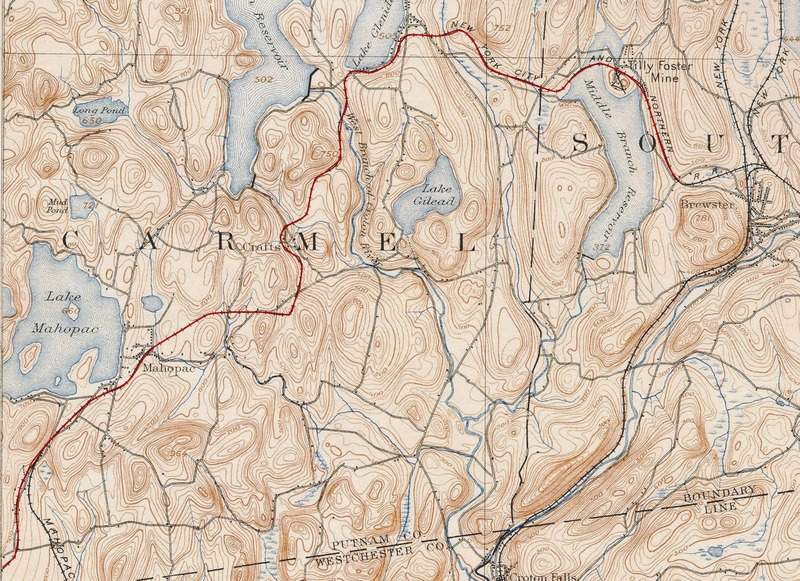 Rockefeller approached the railroad with a plan to move the line off his property. On April 15, 1930, a construction crew of 500 men began work on the railroad relocation. Three stations were closed: Tarrytown Heights, Tower Hill, and Pocantico Hills. The new route opened in 1931. 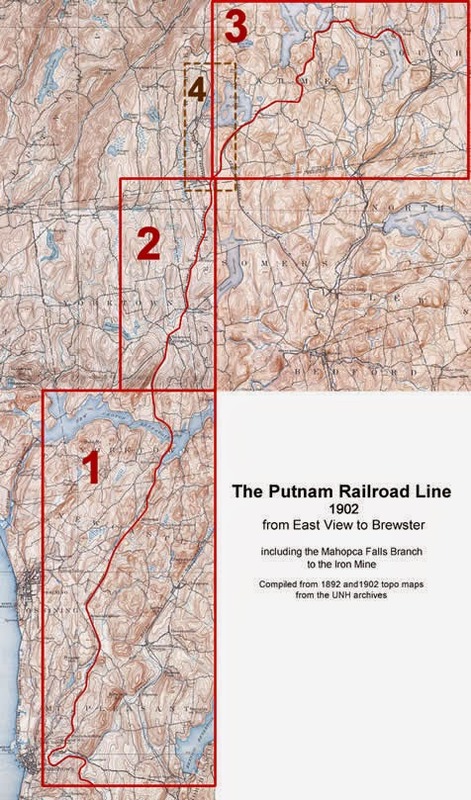 Mahopac Falls Branch Line The Mahopac Iron Mine opened in 1879. A railroad was built to the mines in 1902. It was abandoned in 1931.